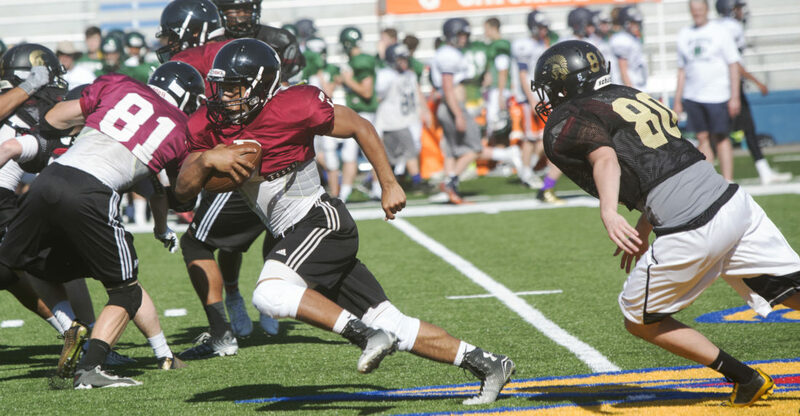 LHS quarterback Alan Clothier (7) hands off to JD Woods (11) during drills at KU's Memorial Stadium on June 9, 2015. 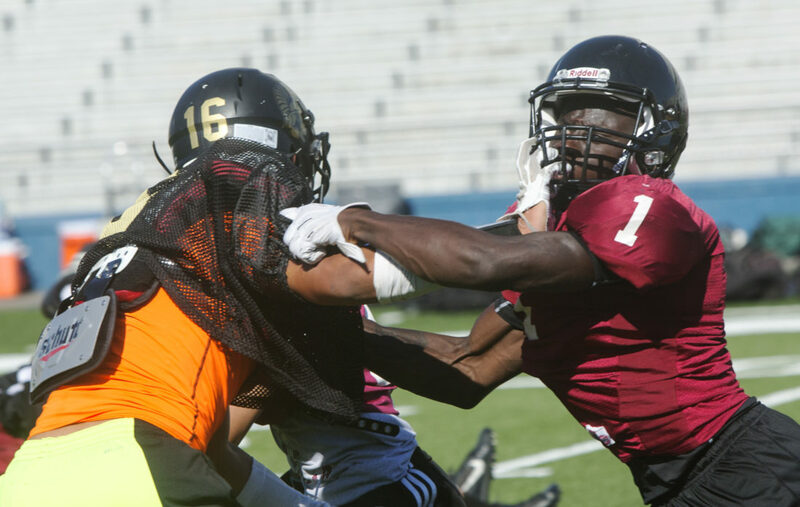 LHS's Alan Clothier (7) breaks loose against Topeka High on Tuesday, June 9, at KU's Memorial Stadium. 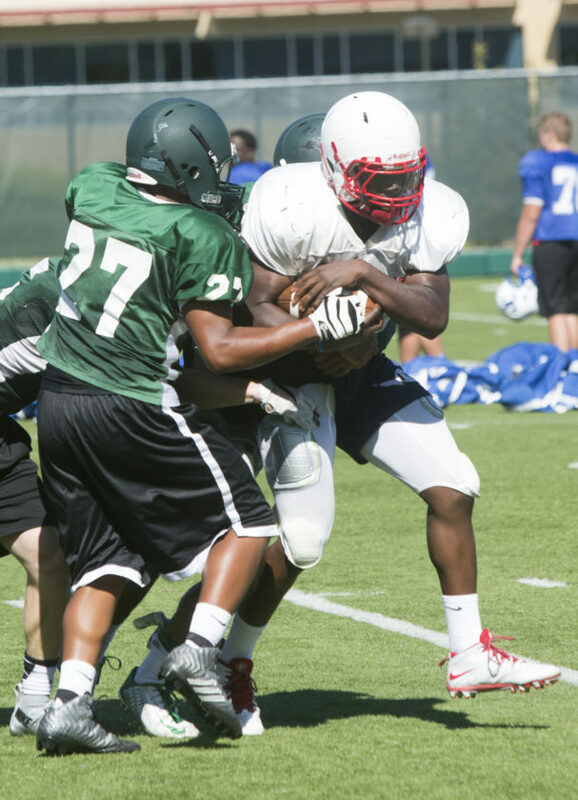 LHS's Peter Afful (1) ties up a player from Topeka High on Tuesday, June 9, as FSHS and LHS were at KU's Memorial Stadium participating in drills with other area teams. 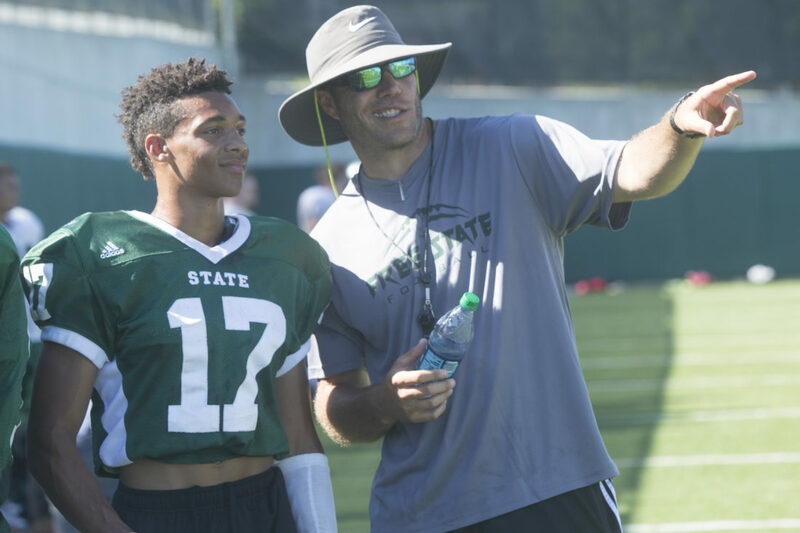 FSHS's Zack Sanders (17) and coach Adam Barmann talk about drills Tuesday, June 9, at KU's Memorial Stadium as LHS and FSHS were participating in drills with other area teams. 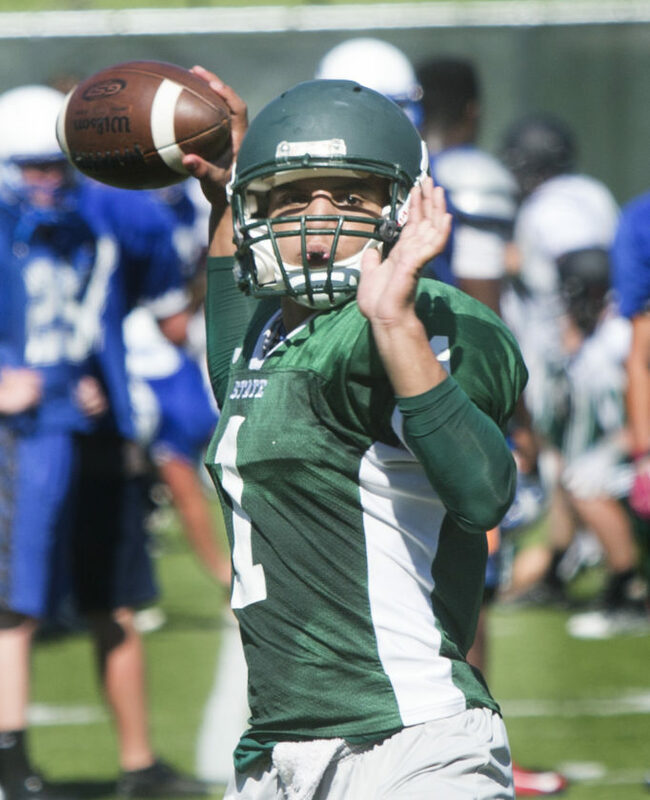 FSHS quarterback Bryce Torneden looks for a target on Tuesday, June 9. FSHS and LHS participated in drills with other area teams at KU's Memorial Stadium. 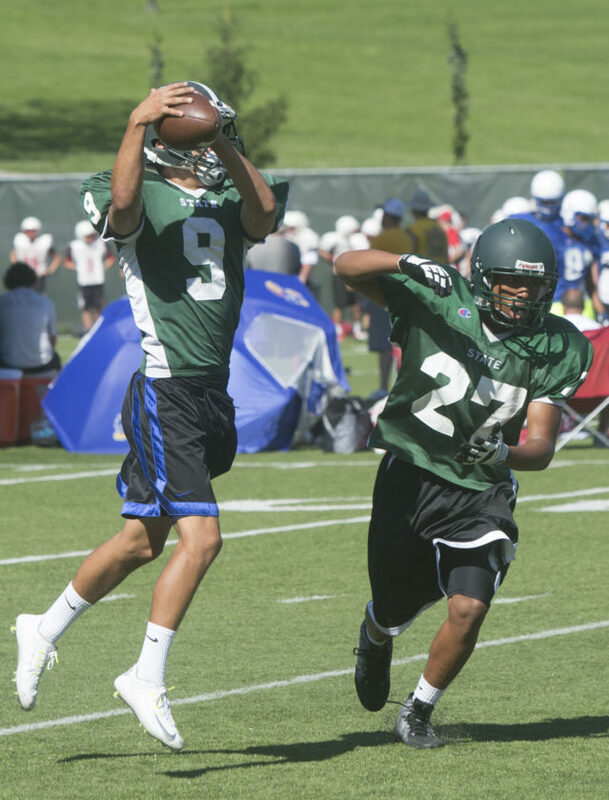 FSHS's Jack Flynn (9) takes a snap on Tuesday, June 9, at KU's Memorial Stadium during drills with other area teams. 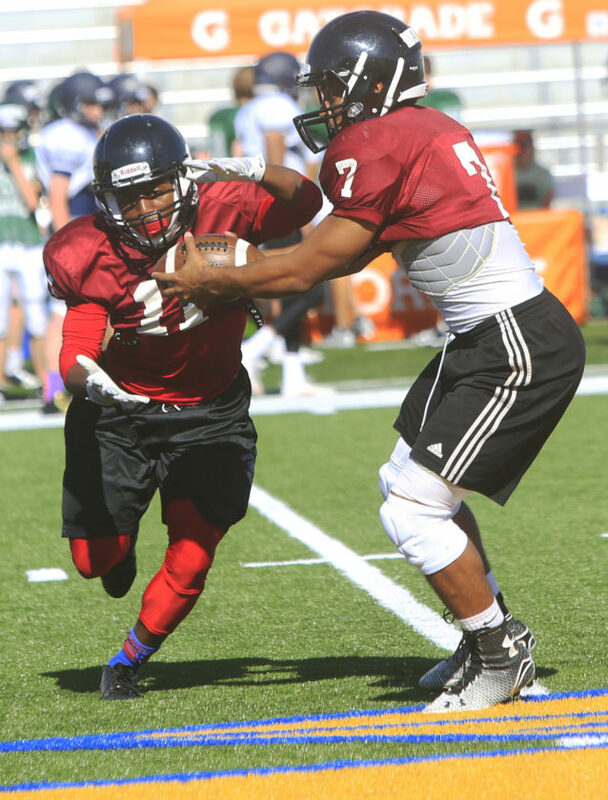 FSHS's Zion Bowlin grabs Olathe North's Akil Hannibal for a loss on Tuesday, June 9, during drills at KU's Memorial Stadium.